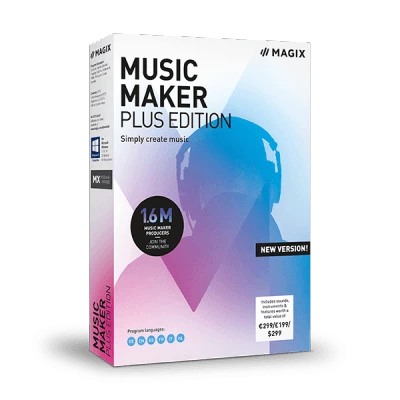 Music Maker gives you the room you need to bring your ideas to life. And now you can even customize Music Maker to fit your personal style. Simply pick one of the Music Maker editions and select the sounds, features and instruments which matter most to you. And no matter what you choose, your Music Maker is guaranteed to come equipped with a new professional sound engine and free updates.